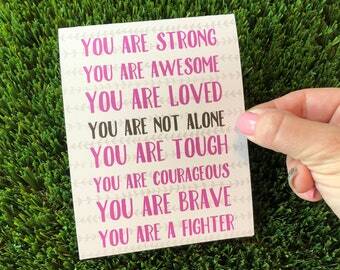 Know someone who needs a little encouragement? Lift their heart a bit with this support card and let your friend, family member, or loved one know you are there for them. 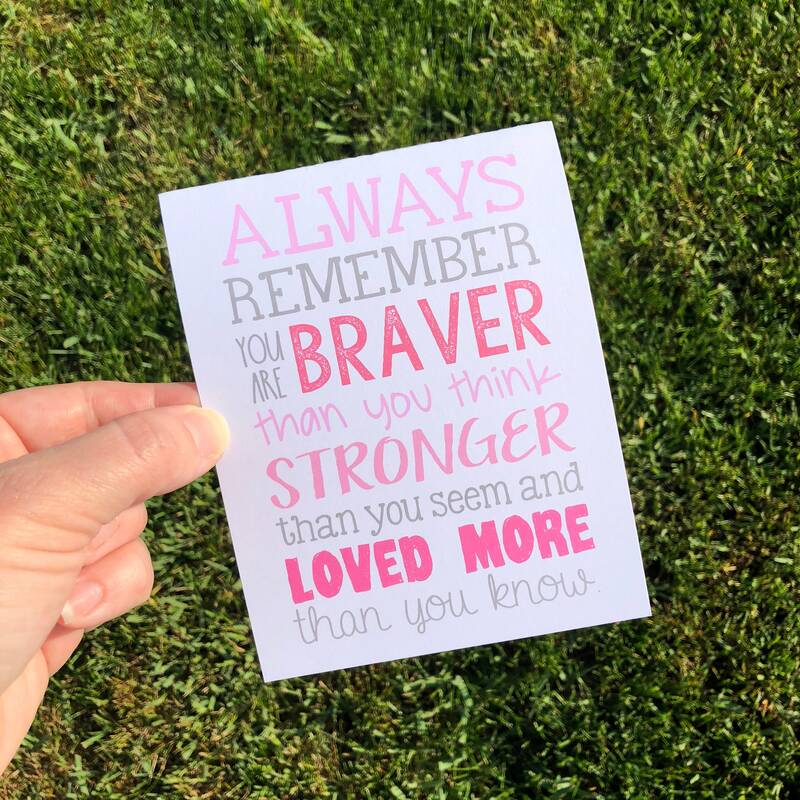 Cards of encouragement and inspiration is a great way to help lift the spirits of those going through chemo or just dealing with a difficult time. Even if you only make them smile for a moment, it's worth it! 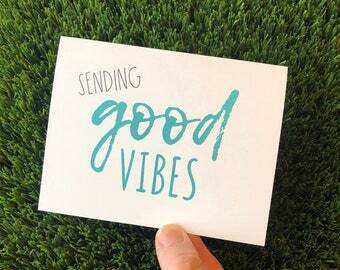 All cards are designed, printed, cut, folded, packaged and shipped by my two hands! Thank you for supporting this Mama Owned shop! great cards! thank you!! very inspirational!